Ahh, folks, I don't know about you, but the fact that Mars and Saturn are now forward-moving and in Libra is proving to be a great boon to collective efforts! There are challenges built into this month's NewMoon, but there are boons as well, so let's see how we can translate the heavens above into Tarot terms for practical insight. For historical overview, it was rare even as late as the Renaissance that astrologers could calculate with precision closer than 5º - 10º of exactitude. Many practitioners understood the formal aspects to exist between the signs as a whole, rather than between planets occupying certain degrees within the sign, as we do in modern times. For example, this approach would consider the aspects of Mars to apply to Saturn too, and vice-versa, because both Mars and Saturn are in Libra, despite them sitting at opposite ends of their signs. The same thing would go for Jupiter and Venus in Gemini. 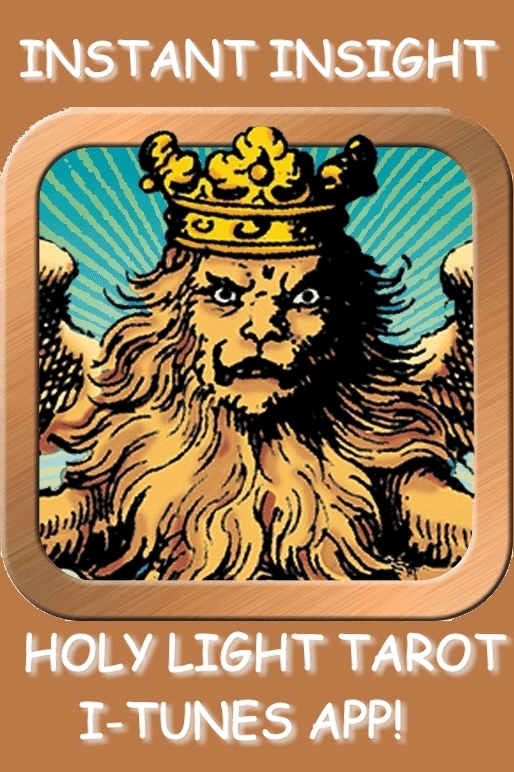 In contrast, working with the Tarot of the Holy Light icon, we count aspects as extending between similar decanates (ether 1-10º, 11-20º, or 21 - 30º) of each sign. This allows for a level of precision that is commensurate with or better than the ancient approach, and all without doing any calculating, merely copying today's planetary positions onto the Icon. 1-10º of the signs: Mars, Nodes, Pluto, Neptune, Uranus and Jupiter. That's two of the original seven visible Governors, plus all three of the invisible Outer Planets as well. Fully half of the moving bodies we track in the modern birth chart (plus the Nodes) are acclimatizing themselves to the first stage of the signs they are currently transiting. Clearly the collective mind is experimenting with a broad range of new approaches, taking a goodly amount of risk in a climate that presses for change. 11-20º of the signs: Mercury and Venus, linked by a sextile. This comfortable and supportive aspect allows for some ease and flow. 21 - 30º of the signs: Sun/Moon and Saturn, linked by a square. This stressful and combative aspect requires will power and constant management to keep it from degenerating into a conflict. As a Cabbalist this strikes me as interesting. 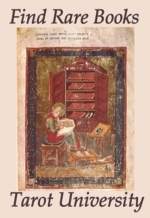 The Hebrew mystics of the late middle ages mapped the signs, planets and elements into the human body, and then undertook complex and sophisticated meditations to visit and discover those energies experientially. In this way they hoped to shape their inner lives to the Mandate of Heaven, and thereby evolve more rapidly back to the divine state that, it was though, we originally descended from. In this case, we find the two planets of the Heart Triangle occupying the first 10º of their respective signs, along with the rest of the first-decanate occupants. This throws a spotlight on Mars and Jupiter, the right and left hands, which are the servants of the heart (itself mapped to the Sun). To take this symbolism very literally, it is important for all of us to spend our time and energy on those things that appeal to our deepest attachments and heart-level bonds. Prioritize and be honest with yourself, so you don't abandon your heart no matter what circumstances might be pressing for. This grouping demonstrates that organizing ourselves and keeping all these competing fresh starts from conflicting with each other will be complicated and take up a lot of time this summer. Don't be ignorant of your true hopes and dreams at this time when things are changing so fast on every front! Similarly, the servants of the pelvic triangle Mercury and Venus co-occupy the middle decanates of their respective signs. In the Cabbalistic visualization, they comprise the left and right legs and feet. These are the two who give your choices "legs", or motive power. The flexibility of this symbolism is complimented by the fact that Mercury and Venus are connected by a supportive sextile, which could give rise to fancy footwork, a bit of dancing along your path, perhaps even bringing a little artistry and fun into the daily walk. Finally, the Governors of the Middle Pillar (Saturn, Sun and Moon) resonate together in the third decanate of their respective signs. The energy that connects them is the tense and challenging square or 90º angle. The suggestion here is that maintaining one's "uprightness" and "showing some backbone" require the use of will power, forcing us to internalize some stress to achieve our goals. Sketched onto the body, this makes a figure similar to the Hierophant's Staff, with a strong vertical bar (the Middle Pillar) sporting two smaller crossbars at the shoulders and hips. These two crossbars anchor the two highlighted triangles into the body -- Aleph (Magus) bridges from shoulder to shoulder forming the base of the heart triangle, while Mem (Death) straddles from hipbone to hipbone, forming the base of the pelvic triangle. The upshot of this little occult musing is that extra emphasis is thrown onto both Uranus (the Magus) and Neptune (Death). It seems that, for help in maintaining a strong spine or backbone (symbolizing individuation, will, divine potential) we are being offered the composite figure made by the group of planets in the degrees 1 - 10º. There's a great spirit of experimentation and openness being channeled to us by the dynamic and active mega-figure containing all the planets from Mars to Pluto (except Saturn). By responding to its internal impetus, we can individually and collectively make enough moves in new directions that the balance of our future can be shifted. Mars mediating the opposition of Jupiter to the North Node (therefore trine to Jupiter and sextile to the North Node). It would be extremely subtle and complicated to tease out and interpret this complex figure line by line, but fortunately, the astro-alchemical cabbalist doesn't really have to over-focus on the particulars. In real life, it is not a priority to explicate every shred of potential in the chart. Instead the idea is to simply scan the figure for indicators that could help us flex through the incoming changes more fluidly. We don't have to understand everything to a T, but simply find factors that are compatible with our individual make-up, factors we can connect with and draw energy from as we navigate our day to day. This multi-signed figure in the first early degrees of thee signs is so spread-out and hydra-headed that nearly any person can find some part of it that will support of their endeavors. Remember, the goal at a time like this can't be about precision or perfection! If we can just muddle through, swinging from vine to vine as the moment allows, without losing heart over all the shifting territory that's heaving and ho-ing around us, we will get through and be amazed at our progress. From my viewpoint, we are being encouraged to manage our inner lives more firmly but let go of attempts to control the outer life. The less attached and reactive we can be, the more present we are moment to moment, the faster we will see through the chaos and understand how to proceed. Sun/ Moon at 26 + Cancer = Fool and Priestess in the realm of Justice (square Saturn). This NewMoon is very close to the start-point of the Ladder of Lights model. This is the very ancient worldview that governs the Doctrine of Essential Dignities. From antiquity, this model has dictated the meaning of the signs, planets and elements to the various esoteric disciplines of the world. If nothing else, this coincidence gives us instructions to recalibrate our settings internally, get ready to take advantage from the shift away from being a creature focused on Nature's law of survival (Cancer/Justice) and discover the inner heroic impulse that can lift us to the heights of inspiration (Leo/Strength). This is the spiritual symbolism of the Sun moving from Cancer to Leo, is it will very soon. This is not necessarily going to provoke any particular outer events, but it is definitely a personal call from the soul, marking the moment that alchemists everywhere recognize as the "high time of the year" for inner growth and illumination. During this passage, the merely mortal body-centered ego can reach out for it's immortality, establishing a connection with the Oversoul, Inner Guide, or however else one might describe contact with the Higher Self. Mercury retrograde at 11+ Leo = Star in the realm of the Hermit (sextile Venus). This should help us each identify that "spark of Light" we carry within. Consider this retrograde of Mercury to be a welcome chance to go back over recent steps taken, to ensure that their long-term results will be consistent with your true mission and cause. Honor and respect the part of yourself that stands up for the higher ideal, even if that makes you an outcast. Mars at 8+ Libra = Strength in the realm of the Hanged Man (trine Jupiter, square Pluto, opposed Uranus). Cooperation is the watchword this month -- take it seriously that no man is an island! The most important tasks all require teamwork, trust, and making a collective effort. Any attempts to be a star or pull away from the group will make you a target! Also be open to fresh ideas and possible changes of plan as events unroll. The point is to follow the best course for the greater good, not "my way" or "your way". Saturn at 23+ Libra = Judgment in the realm of the Hanged Man (squared the NewMoon) To me this square looks incredibly lucky and strengthening, because Saturn is exalted in Libra. Also, the Justice/Judgment linkup from the sign of the scales seems like a winner for every "little guy" who feels lost in an impersonal and rigged system. Just line up the whole constellation of cards and see what you think: Fool, Priestess, Justice, Judgment, and Hanged Man. To me this says that, if we live ethically and responsibly with forethought for long-term consequences, and train ourselves to willingly accept our natural consequences, demonstrating humility and releasing entitlement as circumstances unfold, we should be able to land on our feet despite the sacrifices that happen along the way. The key is saying Yes to our destiny unequivocally, without quibbling and caveats. Once we have wholeheartedly done that inner work, the outer world will unlock and deliver us where we need to be. Pluto retrograde at 7+ Capricorn = World in the realm of the Tower (square Uranus and Mars, inconjunct Jupiter) To judge from the Trumps involved here, it seems that it is time for certain Towers to fall, so that the World can be put back on its rightful axis again. However this process will come as a test to all -- nobody will be excluded from the shaking and the rattling. Every structure, construct, theory, belief and dogma will be attacked at its weak spots by natural forces. Anything that has been artificially elevated above its natural center of gravity will slump back down to the norm. In particular, this combination refers to governments, international institutions and the mass-mind hypnosis of modernity, all of which suddenly awaken to discover themselves morally or physically bankrupt. Neptune retrograde at 2+ Pisces = Death in the realm of the Sun (squared the North/South Nodal axis). Neptune is equivocating here at the doorway to the Summerland. The sign of Pisces has the symbolism of "time suspended" due to its reference to the soul's dormant periods between incarnations, analogous to the seed state in plants, or the prenatal epoch in animals. The cost of entry to heaven is the loss of the dear individuality of the ego, that clingy self-centeredness that is the hallmark of the incarnated entity. Hence the opportunity to take a time-out in the Sun card's paradise is tinged with ambiguity. But the soul's evolution is relentless, and is infinitely more important than preserving the ego's dominance. Once this queasy period passes (mid-December) we'll have our courage back for looking directly into the mystery and seeing "the face I had before I was born". Uranus retrograde at 8+ Aries = Magus in the realm of the Hierophant. (opposed Mars, square Pluto) This is the configuration that all the astrological blogs are taking note of right now. The t-square from Pluto to both Mars and Uranus is sending shock waves through the governance and financial structures of the world. The Brahmin class is having their Wizard of Oz moment, as Toto (Mars) pulls back the curtain to reveal the humbug. Awakened individuals, those who are quick on the uptake and unattached to any particular form, will be able to dart between the falling towers, sloshing dark pools and contending Titans that are, as I type this, entering into their death dances. Jupiter at 8+ Gemini = Emperor in the realm of the Chariot (trine Mars, inconjunct Pluto, sextile Uranus) Time for a wild ride through the land of the Twins, where every intersection sprouts multiple vectors and there is never only one answer to the question. Jupiter's multiplication factor whips the Gemini proliferation into froth. The effect of this compounding obscures the landscape entirely and simultaneously offers fabulous camouflage for those who are on familiar ground. This looks like a terrific climate for chaos magic, for asymmetrical warfare, and for all kinds of unpredictable strategies coming from the grass roots "little guys" who want to just say NO. I'm thinking that the small-scale individual with will power and a quick mind will see a lot of opportunities for advancement and/or self-liberation at this time. Venus at 15+ Gemini = Empress in the realm of the Chariot (sextile Mercury) At this moment Venus is in her sub-section of the sign Gemini, so she's feeling right at home. This is especially true because of her friendly aspect with Gemini's ruler, Mercury. As emissary of The Good, The True and The Beautiful, Venus will be your ally in discriminating what is Real and what is a phenomenon of the moment. Learn to use the ecological and inter-dependent sensibilities of Venus to entwine yourself into the environments where you wish to become a native. Once you can see the methods and materials that make up the divine or immortal component of your goals, then simply allow natural attraction to draw you into environments that are rich in these resources. This is not a time to worry about what others might think -- it's time to get clear on the reality you want to live going forward. High Summer Blessings to all! May your projects flourish, your studies expand, and your heart be full of love for All That Is. NewMoon at 26+ Cancer, across the midnight hour of Thursday July 18th at 9:25 PM (PSD) / Friday July 19th at 12:25 AM (EDT). From this moment, the Moon begins to wax, or increase. 2nd Quarter, Waxing Half Moon at 3+ Scorpio, on Thursday, July 26th at 4:57 AM (EDT) / 1:57 AM (PDT). Full Moon at 10+ Aquarius on Thursday August 2nd, at 11:29 PM (EDT) / 8:29 PM (PDT). From this moment, the Moon begins to wane, or decrease. 4th Quarter, Waning Half Moon at 17+ Taurus on Thursday August 9th, at 2:56 PM (EDT) / 11:56 AM (PDT). Next NewMoon at 25+ Leo, on Friday August 17th at 11:55 AM (EDT) / 8:55 AM (PDT). From this moment, the Moon begins to wax, or increase.